Palavras-chave: Glycine max (L.). Fósforo. Fungos micorrízicos arbusculares. O uso de estimulantes para o estabelecimento de fungos micorrízicos arbusculares tem grande potencial em contribuir para a absorção de P pelas plantas. Objetivou-se avaliar a eficácia do isoflavonóide formononetina como estimulante da micorrização na cultura da soja, associada a adubação fosfatada, em dois Latossolos com teores de fósforo disponível médio (LPm) e baixo (LPb) no Cerrado piauiense. O delineamento experimental em cada solo foi em blocos casualizados no esquema fatorial 4×4, com quatro repetições. Os tratamentos foram constituídos por quatro doses de fósforo (0; 26,66; 40 e 80 kg ha-1 de P2O5) e quatro doses do isoflavonóide formononetina (0; 0,5; 0,9 e 1,8 g kg-1 de semente de soja). As variáveis avaliadas foram, o crescimento, a produção, a nodulação e taxa de colonização micorrízica da soja. Com exceção da taxa de colonização micorrízica no LPm, altura e número de vagens por planta de soja no LPb, as demais variáveis, não foram influenciados pela aplicação do isoflavonóide formononetina, em ambos os solos. A produtividade cresceu linearmente ao incremento das doses de fósforo no LPb, apresentando uma eficiência agronômica de ~15 kg ha-1 de grãos para cada kg ha-1 de P2O5 aplicado no solo. ABBASI, M. K. et al. Application of Bradyrhizobium japonicum and phosphorus fertilization improved growth, yield and nodulation of soybean in the sub-humid hilly region of Azad Jammu and Kashmir, Pakistan. Plant Production Science, Tokyo, v. 11, n. 3, p. 368-376, 2008. ABDALA, D. B. et al. Surface loading effects on orthophosphate surface complexation at the goethite/water interface as examined by extended X-ray Absorption Fine Structure (EXAFS) spectroscopy. Journal of Colloid and Interface Science, New York, v. 437, s/n., p. 297-303, 2015. ALCÂNTARA NETO, F. et al. Adubação fosfatada na cultura da soja na microrregião do Alto Médio Gurguéia. Revista Ciência Agronômica, Fortaleza, v. 41, n. 2, p. 266-271, 2010. ARAÚJO, W. F.; SAMPAIO, R. A.; MEDEIROS, R. D. Resposta de cultivares de soja à adubação fosfatada. Revista Ciência Agronômica, Fortaleza, v. 36, n. 2, p. 129-134, 2005. BAGO, B.; PFEFFER, P. E.; SHACHAR-HILL, Y. Carbon metabolism and transport in arbuscular mycorrhizas. Plant Physiology, Rockville, v. 124, n. 3, p. 949-958, 2000. BALZERGUE, C. et al. High phosphate reduces host ability to develop arbuscular mycorrhizal symbiosis without affecting root calcium spiking responses to the fungus. Frontiers in Plant Science, Lausanne, v. 4, s/n., p. 1-15, 2013. BERRUTI, A. et al. Arbuscular mycorrhizal fungi as natural Biofertilizers: Let’s benefit from past successes. Frontiers in Microbiology, Lausanne, v. 6, s/n., p. 1-13, 2016. BOARD, J. E.; HARVILLE, B. G. A criterion for acceptance of narrow-row culture in soybean. Agronomy Journal, Madison, v. 86, n. 6, p. 1103-1106, 1994. COMISSÃO DE FERTILIDADE DO SOLO DO ESTADO DE MINAS GERAIS - CFSEMG. Recomendações para o uso de corretivos e fertilizantes em Minas Gerais. 5ª Aproximação. Viçosa, MG: CFSEMG, 1999, 322 p.
CORDEIRO, M. A. S. et al. Mycorrhization stimulant based in formononetin associated to fungicide and doses of phosphorus in soybean in the Cerrado. Bioscience Journal, Uberlândia, v. 31, n. 4, p. 1062-1070, 2015. DAVIES, F. T.; CALDERON, C. M.; HUAMAN, Z. Influence of arbuscular mycorrhizae indigenous to Peru and a flavonoid on growth, yield, and leaf elemental concentration of ‘Yungay' potatoes. HortScience, Alexandria, v. 40, n. 2, p. 381 – 385, 2005. FAGERIA, N. K.; MOREIRA, A.; CASTRO, C. Response of soybean to phosphorus fertilization in Brazilian Oxisol. Communications in Soil Science and Plant Analysis, London, v. 42, n. 22, p. 2716-2723, 2011. FERREIRA, E. B.; CAVALCANTI, P. P.; NOGUEIRA, D. A. ExpDes: Experimental designs package. R package version 1.1.2, 2013. FRIES, L. L. M.; PACOVSKY, R. S.; SAFIR, G. R. Influence of phosphorus and formononetin on isozyme expression in the Zea mays – Glomus intraradices symbiosis. Physiologia Plantarum, Sweden, v. 103, n. 2, p. 172 – 180, 1998. GIOVANETTI, M.; MOSSE, B. An evaluation of techniques to measure vesicular arbuscular mycorrhizal infection roots. New Phytologist, Lancaster, v. 84, n. 3, p. 489-500, 1980. GRANT, C. A. et al. The importance of early season phosphorus nutrition. Canadian Journal of Plant Science, Ottawa, v. 81, n. 2, p. 211-224, 2001. HAWKESFORD, M. et al. Functions of macronutrients. In: MARSCHNER, P. (Ed.). Mineral nutrition of higher plants. New York: Elsevier, 2012. cap. 6, p. 135-189. KARIKARI, B.; ARKORFUL, E.; ADDY, S. Growth, nodulation and yield response of cowpea to phosphorus fertilizer application in Ghana. Journal of Agronomy, Faislabad, v. 14, n. 4, p. 234-240. 2015. KÖPPEN, W. Grundriss der klimakunde. Berlin: Walter de Guyter, 1931. 390 p.
LAMBAIS, M. R.; RÍOS-RUIZ, W. F.; ANDRADE, R. M. Antioxidant responses in bean (Phaseolus vulgaris) roots colonized by arbuscular mycorrhizal fungi. New Phytologist, Lancaster, v. 160, n. 2, p. 421-428, 2003. LOPES, A. S.; GUILHERME, L. R. G. A career perspective on soil management in the Cerrado Region of Brazil. In: SPARKS, D. (Ed.). Advances in Agronomy 137. Cambridge: Academic Press, 2016. p. 1-72. MABAPA, P. M. et al. Effect of phosphorus fertilizer rates on growth and yield of three soybean (Glycine max) cultivars in Limpopo Province. African Journal of Agricultural Research, Ebène, v. 5, n. 19, p. 2653-2660, 2010. MARSCHNER, H.; DELL, B. Nutrient uptake in mycorrhizal symbiosis. Plant and Soil, Dordrecht, v. 159, n. 1, p. 89-102, 1994. MURPHY, J.; RILEY, J. P. A modified single solution method for the determination of phosphate in natural waters. Analytica Chimica Acta, Amsterdam, v. 27, s/n., p. 31-36, 1962. NOURI, E. et al. Phosphorus and nitrogen regulate arbuscular mycorrhizal symbiosis in Petunia hybrida. PLoS ONE, San Francisco, v. 10, n. 4, p. 1-14, 2014. NOVAIS, R. F.; SMYTH, T. J. Fósforo em solo e planta em condições tropicais. Viçosa, MG: UFV, 1999. 399 p.
PHILLIPS, J. M.; HAYMAN, D. S. Improved procedures for clearing roots and staining parasitic and vesicular-arbuscular mycorrhizal fungi for rapid assessment of infection. Transactions of the British mycological Society, London, v. 55, n. 1, p. 158-61, 1970. PONTES, J. S. et al. Diversity of arbuscular mycorrhizal fungi in the Brazilian's Cerrado and in soybean under conservation and conventional tillage. Applied Soil Ecology, Amsterdam, v. 117-118, s/n., p. 178-189, 2017. RIBEIRO, P. R. A. et al. Formononetin associated with phosphorus influences soybean symbiosis with mycorrhizal fungi and Bradyrhizobium. Bioscience Journal, Uberlândia, v. 32, n. 4, p. 940-951, 2016. SHARMA, S. B. et al. Phosphate solubilizing microbes: sustainable approach for managing phosphorus deficiency in agricultural soils. SpringerPlus, London, v. 2, n. 1, p. 1-14, 2013. SILVA, J. S. et al. Formononetin stimulates mycorrhizal fungi colonization on the surface of active root nodules in soybean. Symbiosis, Maharashtra, v. 71, n. 1, p. 27-34, 2017. SINGH, S. K.; REDDY, V. R. Response of carbon assimilation and chlorophyll fluorescence to soybean leaf phosphorus across CO2: alternative electronsink, nutrient efficiency and critical concentration. Journal of Photochemistry and Photobiology B: Biology, Lausanne, v. 151, n. 1, p. 276-284, 2015. SMITH, S. E. et al. Roles of arbuscular mycorrhizas in plant phosphorus nutrition: interactions between pathways of phosphorus uptake in arbuscular mycorrhizal roots have important implications for understand ingand manipulating plant phosphorus acquisition. Plant Physiology, Rockville, v. 153, n. 3, p. 1050-1057, 2011. SOUZA, J. R. et al. Efficiency of coated match with polymers in soybean. 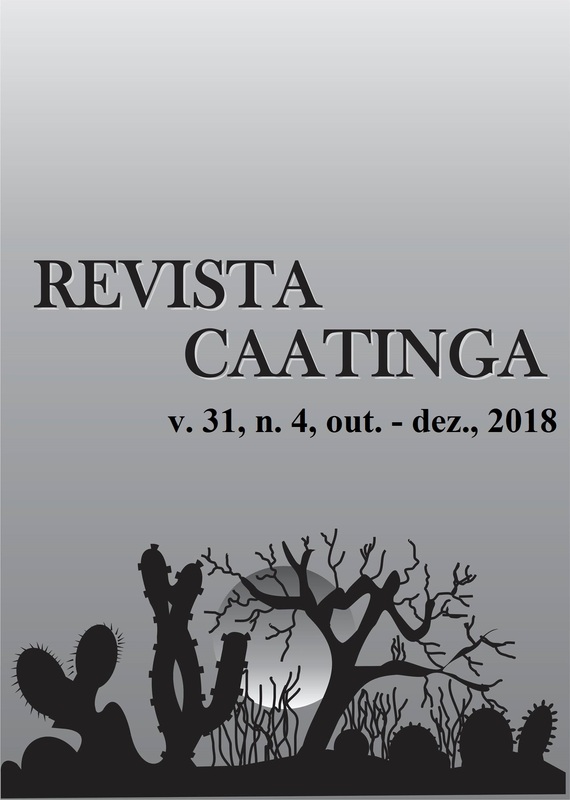 Acta Iguazu, Cascavel, v. 3, n. 4, p. 1-9, 2014. SOUZA, T. Handbook of arbuscular mycorrhizal fungi. Switzerland: Springer International Publishing, 2015. 128 p.
TAIRO, E. V.; NDAKIDEMI, P. A. Bradyrhizobium japonicum inoculation and phosphorus supplementation on growth and chlorophyll accumulation in Soybean (Glycine max L.). American Journal of Plant Sciences, Irvine, v. 4, n. 12, p. 2281-2289, 2013. TEIXEIRA, R. S. et al. Organic acid coated-slow-release phosphorus fertilizers improve P availability and maize growth in a tropical soil. Journal of soil science and plant nutrition, Temuco, v. 16, n. 4, p. 1097-1112, 2016. VALADÃO JÚNIOR, D. D. et al. Adubação fosfatada na cultura da soja em Rondônia. Scientia Agraria, Curitiba, v. 9, n. 3, p. 369-375, 2008.